I have no hard and fast rule for pressing. I generally press my seams in the direction they want to go. When pressing blocks like corner square triangles I press the corner I just stitched on up away from the center, but for simple patchwork I press to the darkside. I then press my seams open when attaching rows together to avoid bulk. But find a way that works for you and be consistent with it. First up, gathering and cutting your fabrics, cutting instructions for this block can be found on page 8 of your instruction book. I've stuck with a limited fabric selection for mine and continued fussy cutting my focal prints, paying attention to which direction all the prints are running. So with two different units to make I thought we'd start with the corner square triangle units. Make two corner square triangle units. Next up, simple four patch units! Because you've pressed your seams to the foreground fabric, they will nest together nicely when sewn together :) You will need to make two of the four patch units as well! Again, because of the way my units were pressed, when sewn together they nest nicely and the points match up more easily. And no pins were used! Make nine of these fun little blocks and then stitch them together in rows of threes. Then just sew your three rows of three together! 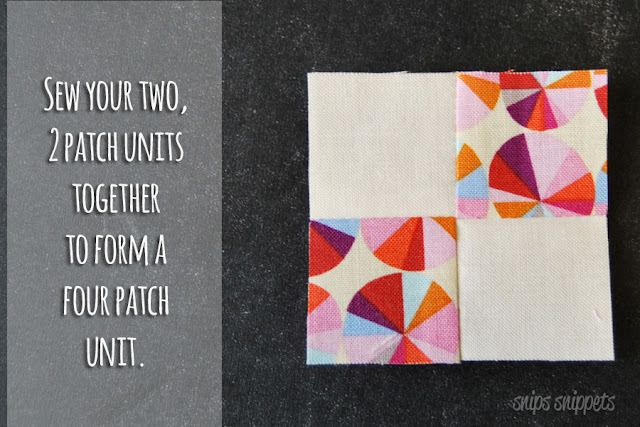 Again, if you're using directional prints or are fussy about the direction your prints are going, pay attention to where your blocks are before sewing them together. Oops. I had even taken final photos and was sure everything was right and then a week later I noticed that something wasn't quite right. 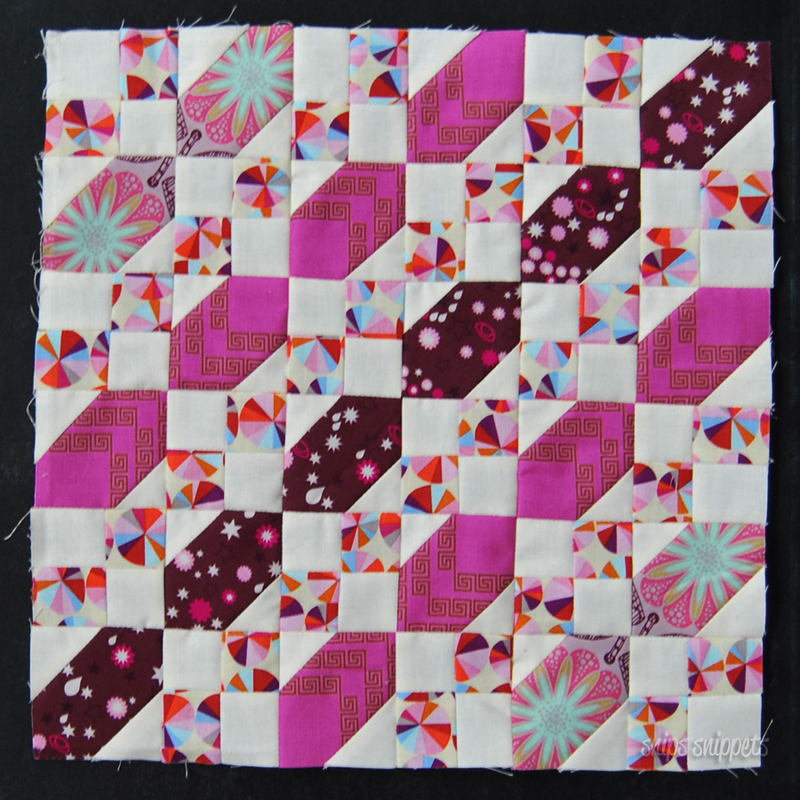 After sewing the blocks together, I pressed my seams open. And again after sewing the rows together I pressed the seams open. And that is it! That was an easy one eh?! I'm looking forward to seeing all the different versions pop up on Instagram! 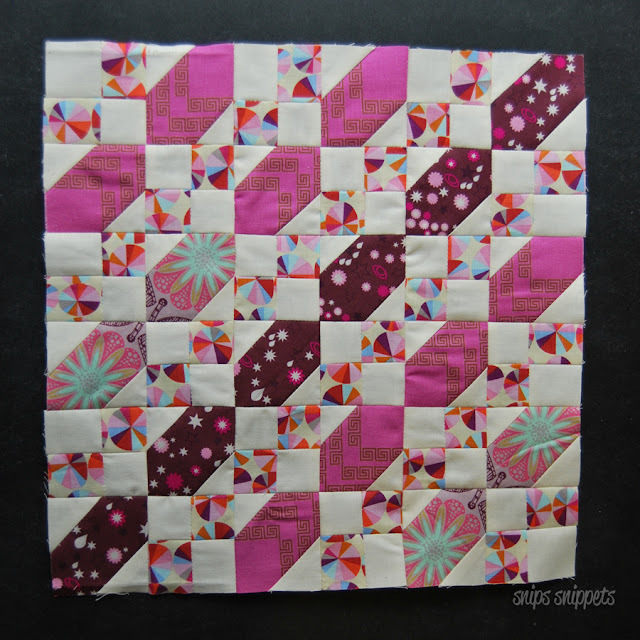 Don't forget to pop over to Angie's by clicking here, to see her amazing block made with her equally amazing stash of Alison Glass fabrics! And to also find out what handy tips and tricks she has! Post a photo of this weeks block to your Instagram account between 12:01am April 5th and 11:59pm April 11th 2017 in your timezone. High fives to you all for the amazing Crosses of the U.K. blocks! I have loved seeing them all over Instagram! Thank you for showing the tutorials on the blocks for Long Time Gone. This has helped tremendously! !